This story is the second part in a four-part series about our Halfsy Hero Melissa Omar. Our series will follow Melissa and three other heroes as they train for the 2018 Good Life Halfsy. Finding time for everything seems hard when it’s just you and your job. Then you get married and you think it’s twice as many people to tackle it all, but it’s really just twice as many to-dos on just one list. When children come along, you find out what’s really important to you because everything else falls off the list. Ask any mom wandering the aisles of Target with a cup of coffee. She’s wearing the same yoga pants she put on three days ago while she shops for nut-free, dairy-free, wheat-free ingredients at 10 pm because her child JUST told her they have to bring treats tomorrow. Ask her where exactly she falls on her own priority list and she’ll say “Which priority list?” She has several. “Buy more dry shampoo” is on her list tonight, because “shower” is on her third list and that’s going to have to wait. Melissa Omar understands, and with four young children, she has more than enough excuses to climb onto the couch beside them and skip her run. But with four young children, she has even more excuses to never make an excuse or to set the example that one should stop prioritizing their own goals. You have to get up pretty early in the morning to get your children up, dressed, fed, washed, lunches packed, homework done, and off to school and daycare before you’re late to work yourself… but Melissa has been up since 4 and she’s ready for this. Between scheduling conflicts, inclement weather, and leg pain hindering Melissa’s time, she opted to pick her battles and embraced a short break in her training. 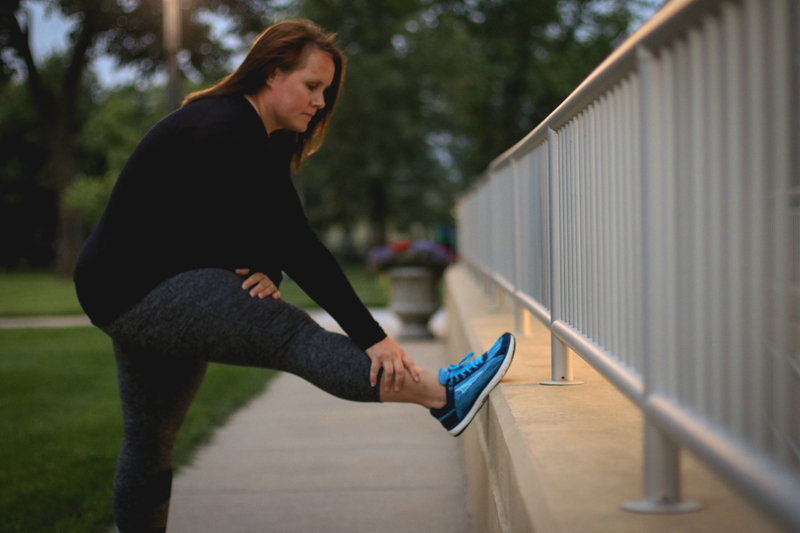 That doesn’t mean Melissa always wants to get out of bed early to run, to skip breakfast to make time on weekends, or to give up her Sunday so she can take more steps toward her ultimate goal. She doesn’t always want to, but discipline means remembering what you ultimately want, not what you want today. And to Melissa, it doesn’t really matter that her kids may not be listening as she tells them (for maybe the 40th time) that they need to put on pants before they put on their shoes. That’s just how kids are. They never listen… but they’re always watching. Check back for more Halfsy Heroes, and to read the next installment of Melissa’s story!